Being in the military means time away from you family. Whether you are on active duty and on base or deployed, that is time away from your family. It can get hard being away for so long but the reunions are always the best. To be able to see your family members again after such a long time is magical feeling. The reunions that aren’t planned are even more special. Im talking about surprises. When you get to see the look of awe in that persons face, it makes the whole surprise worth it. 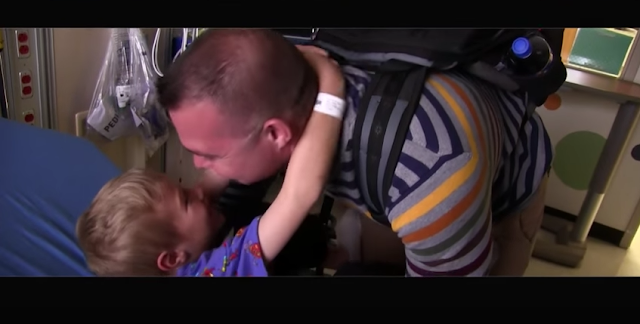 With that said, watch this little boy’s reaction as he sees his father for the first time since he’s been deployed. Just to give a little context, the little child was at the hospital just about to begin surgery. 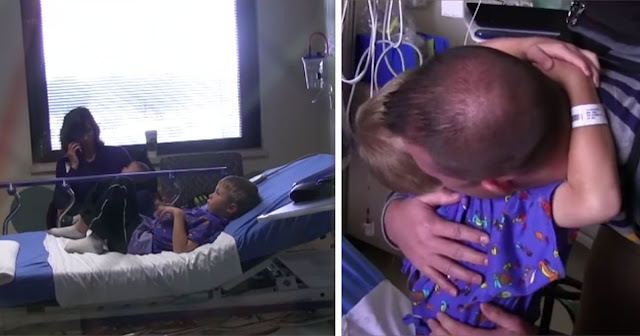 The father being in the military rushed back to the states just in time to surprise his son before his big surgery. The look of absolute joy upon seeing his father. In pure disbelief that after so long, his father is there in front of him. Upon being reunited they embraced immediately. A long over due hug from two individuals who missed each other dearly. It really touches our hearts that we get to see something so special. Its disheartening to see a child so young require surgery, but his dad being there for him just made it 100 times betters. Truly magical that the father was able to make it back in time. You can kind of see the child looking gloomy in the beginning of the video but everything changed after the reunion. 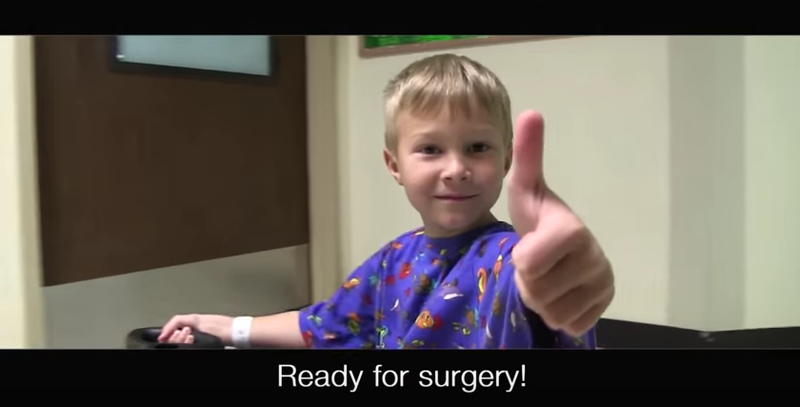 Upon embracing his father, the child is ready for his surgery. No fears, dad is here little fella.